American democracy passed away on Jan 21, 2010 after a long lingering illness resulting from the rich and powerful hijacking our elections and bribing our elected officials. 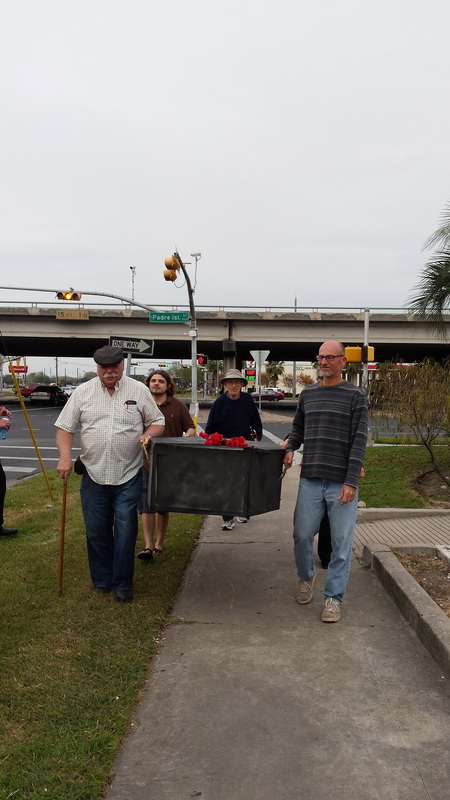 In remembrance of this tragic passing, TUTA and Move to Amend members in Corpus Christi came together to mourn their loss on the 5th anniversary of the Citizens United ruling, which was the final straw in the struggle to survive this deadly disease ( Jan 21, 2014). 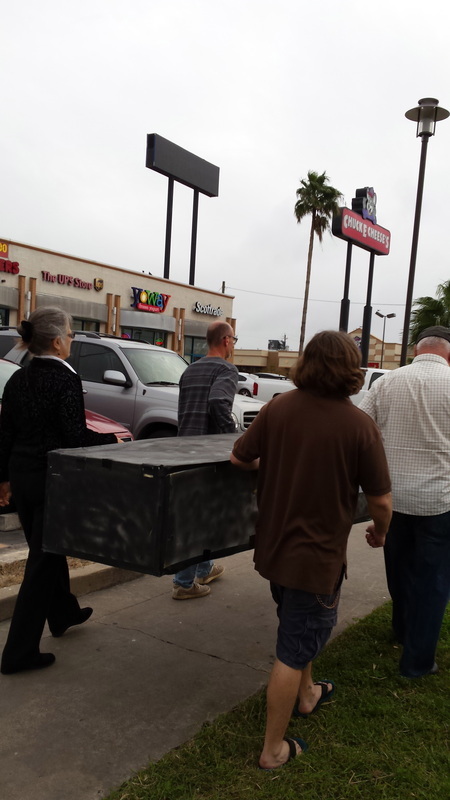 The busy intersection of SPID and Staples rang with their sad tidings. corporations and wealthy individuals. These few have the power to determine who can run for office and who can get elected. Only "Big Money" is the winner. 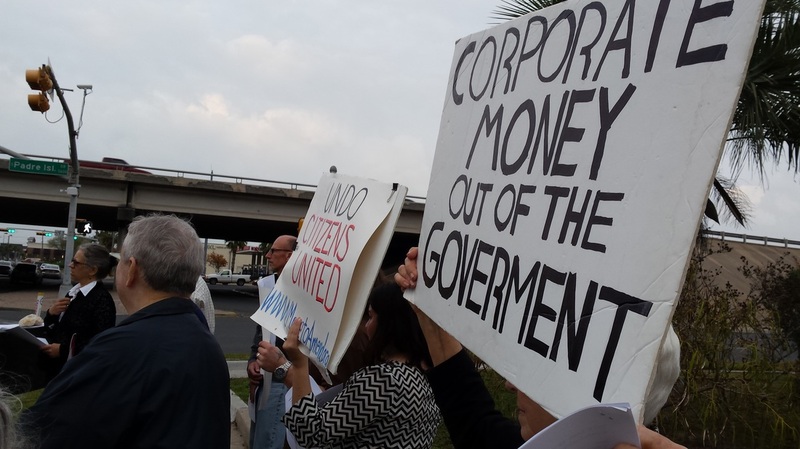 TUTA members in Corpus Christi and across the state continue working for a Constitutional Amendment to overturn Citizens United. It's the only way we can revive democracy and regain control over our government. 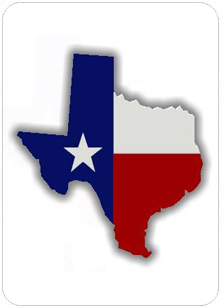 With the resubmission of Texas Senator Rodney Ellis' resolution (SCR 2) we have a mission in this legislative session to get Texas to join the 16 other states with resolutions to amend. for Citizens United to be overturned.